Citrix is one of the most performance-sensitive applications that IT pros have to manage. Citrix performance slowdowns can impact end-user experience and business productivity. Watch this demo and learn how eG Enterprise delivers end-to-end Citrix performance monitoring and analytics and provides in-depth visibility of the entire Citrix delivery infrastructure – across XenApp, XenDesktop, NetScaler, StoreFront, XenServer, PVS, Citrix Cloud, and more. 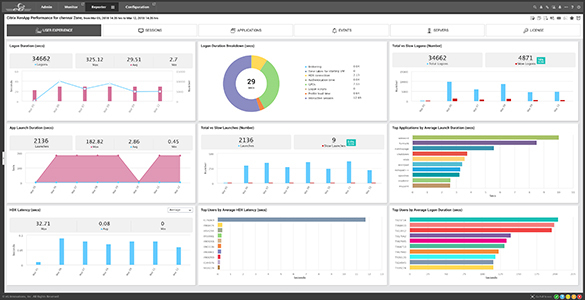 Monitor all aspects of Citrix user experience – user logon, application launch, screen refresh latency, session disconnects, bandwidth usage, etc.